Looks like our Total Defence strategists have tonnes of work to do. Quite a high proportion of employers – two out of five – prefer to hire people without national service commitments, like the yearly call-ups for in-camp training. Respondents to an Institute of Policy Studies survey of 1,251 Singaporeans asked for their views and perceptions of what NS meant to them also were not convinced that NS helped their career prospects. Forty-six years after NS was introduced in 1967, such wavering attitudes towards something so fundamental to the country’s existence should not have been an issue. There have been so many cycles of NSmen that, if anything, not only is commitment to NS itself a given, employers’ support for it should also be wholehearted. 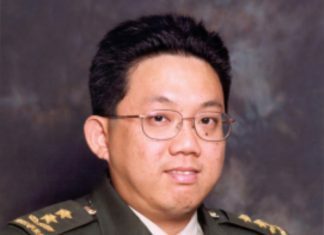 Logically, ex-NSFmen who have served their part and have become bosses should be more sympathetic to the conscription duties of male Singaporeans. If you are a female employer, you would also be supportive as you have husbands, brothers and male relatives and friends. In other words, NS is supposed to be an essential and unquestioned part of the matrix of life here. Strangely, blame it on the success of the Singapore Armed Forces. From a rag-tag lot, the SAF has developed into a respected military force, perfectly capable of being more than a “poisonous shrimp”. Success has somehow encouraged a growing belief that technology and efficiency can make up for what we lack in human numbers. And if we extrapolate the success point onto a wider scale, the government’s pre-occupation with economic growth may have something to do with the changing attitude towards NS. Making money, maximising profits seems to be the only mantra worth chanting and following nowadays. Do we wonder why some of our employers cannot care two hoots about anything else except company growth and if company growth means paying lip service to NS, so be it? Globalisation is another factor. Today’s more competitive business environment in Singapore has seen an influx of foreigners as employers. We can hardly expect them to pledge their undying loyalty to NS, especially if they are from places where conscription is alien to their culture or the military is not respected. They are more likely to hire their own kind or women who do not have to do NS. The inexorable rush to become a global city of world-class talents brings its own string of problems and actually puts us in a bind over the part that NS has to play in Singaporeans’ lives. We have a bit of “you can’t have your cake and eat it ” syndrome. What is it that we want? A flexible principle-sacrificing place where foreigners and first-generation permanent residents get the better jobs at the expense of NS-serving Singaporeans? Or one adhering strictly to the cardinal rule that without something worthwhile defending, NS or Singapore will become irrelevant? We cannot have a situation where our educated NSmen drive taxis while PRs are human resource managers and we have to depend on foreigners to determine our livelihoods or the shapes and scopes of our jobs. Is NS a non-negotiable pillar of the existence of Singapore or is it not? If so, employers – public and private sectors – must get the message and there should be no compromise. No male MPs who do not serve NS, no special deferment for anyone, no white, black or brown horse running through our army camps. Not that many Singaporean families are euphoric about having their sons do NS when they see permanent residents “escaping” the duty and some of these PRs openly boasting about sending their sons back to their countries of origin when they come of NS age. Now more than ever, Singaporeans will not die and fight for a Lucky Plaza, as Lee Kuan Yew once declared. But they will fight for their jobs and fellow Singaporeans and die for their families. Tan Bah Bah is a retired journalist. He was a senior leader writer/columnist with The Straits Times and managing editor of a local magazine company.